Sep 18, 2018 – Email marketing is one of the most convenient and cost-effective ways of maintaining contact with current consumers or generating new customers. Marko Rojnica is an expert email copywriter that’s helping online businesses increase email revenues and turning prospects into raving fans with his Expert Email Marketing Service. Rojnica works exclusively with online businesses that have high growth potential. Millions of emails are sent by businesses every day that go unopened, ignored or deleted. Email copywriting that attracts attention, persuades recipients to read the email, and transforms people into customers is a skill that Rojnica has been using to help clients around the world improve their revenues. Rojnica provides clients with a customized approach that doesn’t rely on premade templates that don’t translate well. Each business is different and a one-size-fits-all approach is ineffectual. As an email copywriting expert, Rojnica understands the emotional connection that’s essential between businesses and their customers. He communicates with client lists daily, building a connection, establishing authority and credibility, and educating in an entertaining way. The result is established when new customers are persuaded to purchase client’s products and services as a means of bettering their lives. Email marketing can be scaled for any size business and be utilized to target multiple demographics. Daily Email is particularly effective as it influences people every day and works to maintain and open conversations. As trust is created, it reduces resistance that prevents individuals from clicking links and acting on client recommendations. It’s a strategy that’s proven to generate return business, build long-term relationships with consumers, and increase conversion rates across any industry. Email marketing is 40 times more successful than search and social media marketing and a successful email marketing campaign begins with emails that are actually read. Rojnica is a master of email copywriting, creating communications that are interesting, entertaining and informative. His Expert Email Marketing Service is specifically designed to help online businesses realize their full potential. 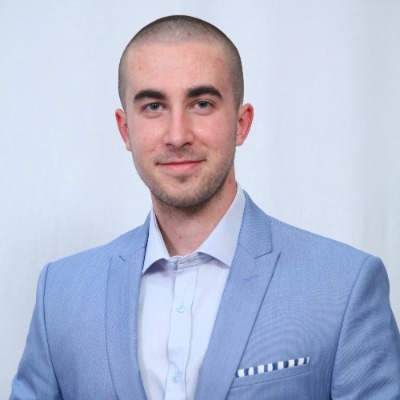 Marko Rojnica helps online businesses increase their email revenue and turn prospects into satisfied, long-term customers. He helps clients capitalize on opportunities that email can bring to their company, while accentuating earnings, relationships and reputations. Connect with Rojnica on LinkedIn and Instagram. Be the first to comment on "Marko Rojnica is Changing the Paradigm for Email Marketing"